This device operates on a piezoelectric effect to emit positive (trigger squeeze) and negative (trigger release) charges to neutralize static on virtually any surface. 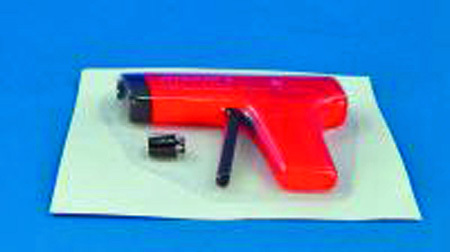 The gun remits no radioactivity and it does not require electricity or batteries. The unit measures 4 x 6".